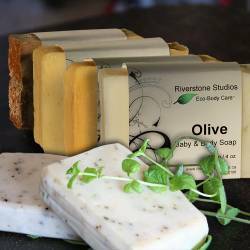 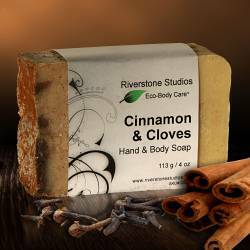 The invigorating aroma of fresh ground cinnamon and clove awaits you in Riverstone Naturals handmade, 100% natural coconut based soap. 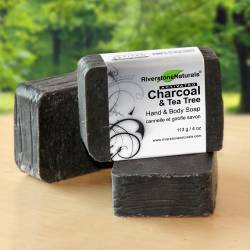 PH balanced for the entire family. Cinnamon & Clove Soap is great for sensitive, normal and dry skin.